Uniforms are an important part of the way we remain connected as a school community. Students should feel proud to wear The Epiphany School uniform. When wearing the uniform, inside and outside the school, they are representing the school and their behavior should be a credit to themselves, their families, and the school community. We ask that all parents and students adhere to the uniform policy outlined below to help our school community retain this important part of our identity. For more information and grade specific requirements please refer to The Epiphany School Uniforms document. The charts contained in the document will help you to determine where you may purchase each item and if the school logo is required. Several uniform items may be purchased from any vendor. If you choose to purchase from another vendor, items must have identical styling to those sold by Flynn & O’Hara and Lands’ End. 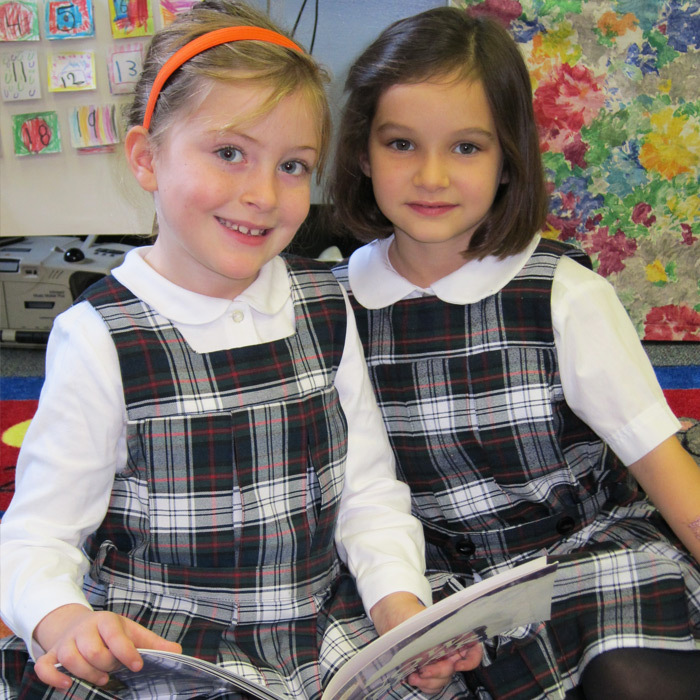 Only The Epiphany School uniform items may be worn during class time. Pants must be worn at the waist, shirts tucked in and the belt must be visible. Uniform Jumpers, Kilts and Skorts should be long enough to touch the top of the knee. Students must be neatly groomed at all times. Hairstyles should be neat and clean at all times. No exaggerated or unusual hairstyles or colors are permitted. Hair must not impede the student’s vision. Boys’ hair may not exceed the collar. Under garments or winter garments shall not be worn to be visible to the casual eye. Students should not wear expensive or sentimental jewelry to school. Students may wear 1 bracelet and/or 1 necklace. No hoops or dangling-style earrings are permitted. Boys may not wear earrings. Hats must be removed upon entering the school building. Boots may be worn at school only in inclement weather. Dress Down Days – Students may wear clothing of their choice to school. Sleeveless shirts, flip-flops, and inappropriate graphics are not permitted. Skirts should be no more than 3-inches above the knee. Shorts should be no more than 4-inches above the knee. Students need to adhere to the uniform policy to help our school community retain this important part of our identity.